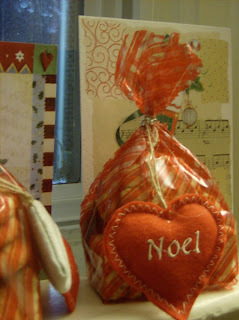 Simple packaging and some home-baked treats make great little gifts during the holiday season. I like to give them to people I just happen to be meeting for a drink or dinner or whatever, not as gifts so much but just little holiday surprises. Alright well, I bring random food gifts all year round but during the holidays I try to step up the packaging a little. Or that is at least the idea, to which I aspire. This year, there has been and unprecedented amount of things going on. This is the first year I've worked full-time, I'm moving, plus all the normal holiday activity. However, I actually managed to get a few things baked to give to friends I was meeting. Yeah, the friends I met up with last weekend got the shaft. Sorry, maybe next year I'll step it up. I did get Christmas cards mailed! What do you like to pass out around the holidays? Any special recipes that your friends always request? Holiday Baking: Spitzbüben - My favorite cookies!